Damian Lewis Homeland signed 12x8 inch photo. Damian Lewis, Homeland, signed 12x8 inch photo. 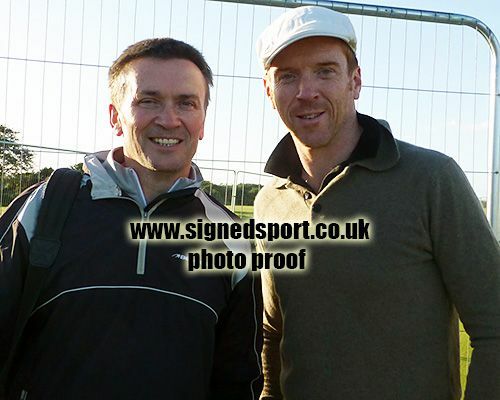 12x8 inch colour photo personally hand-signed in black sharpie pen by English actor, Damian Lewis. 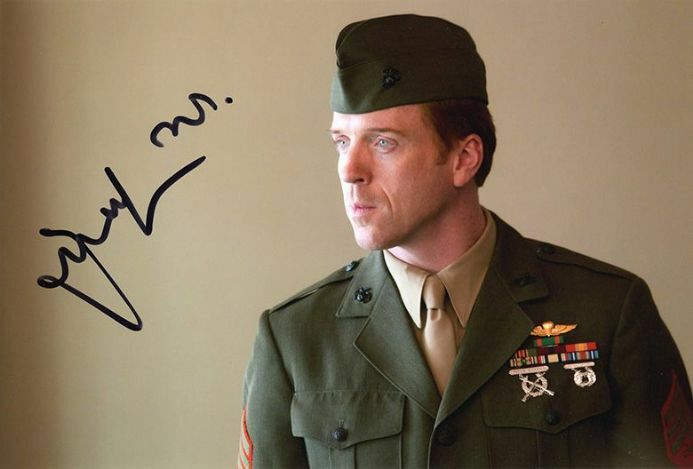 Lewis is known for portraying US Marine Sergeant Nicholas Brody in the Showtime series Homeland (which earned him a Primetime Emmy Award and a Golden Globe Award, hedge fund manager Bobby "Axe" Axelrod in another Showtime series Billions, and US Army Major Richard Winters in the HBO series Band of Brothers. He appeared as Henry VIII in Wolf Hall, which earned him his third Primetime Emmy nomination and fourth Golden Globe nomination.